You will go wild over this NEW Four Winds from Thor Motor Coach. See our Class C Specialists in Weare to learn more about this fantastic NEW 2019 24F model. 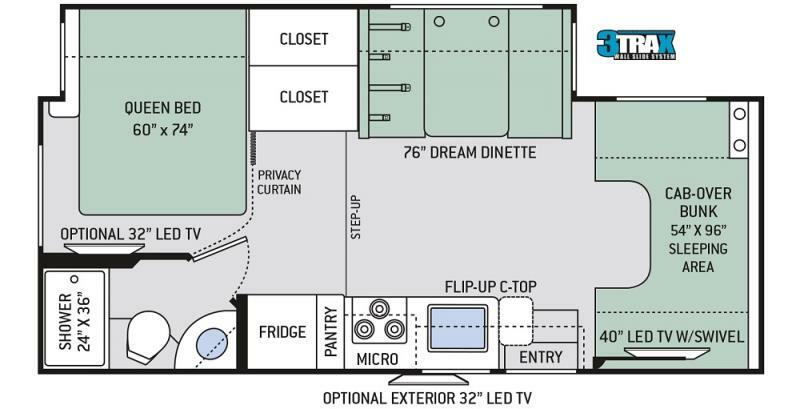 Spacious floorplan with 1 giant slideout. Private rear bath, sleeping for 6, and so many fun features to enjoy! This is one you don't want to pass up!